Stock option day trading is about opening and closing options positions within the same trading session on any given day. It is a very short term, intraday method of trading with the added benefit of using leveraged instruments such as stock options instead of taking actual stock positions. If you're someone who is interested in this method of trading, you should first understand the benefits and risks associated with such a trading approach. 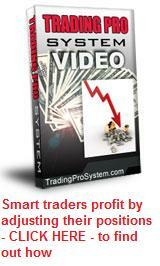 We also have an interesting day trading video for you at the bottom of this page. Day trading was once the exclusive prerogative of banks and investment firms, fund managers and the like, but thanks to the advent of the internet, almost anyone can do it from their home computer. We need to preface what we mean by "benefits" here by saying that if you plan to day trade then you need to be an active "day trader" in the truest sense of the word. 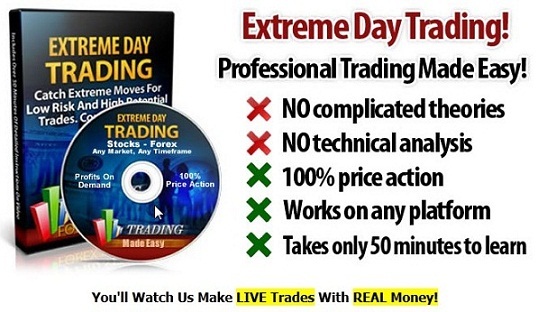 Some people consider themselves day traders but then hold open positions overnight. This would make you a short term trader, not a day trader. A day trader would be looking for intraday signals to enter a position with the full intention that by the end of the trading session, those positions will be closed for either a profit or a loss. On this basis, we now outline the benefits. Since day traders execute transactions possibly many times a day, they will more often than not be entitled to volume discounts from brokers. This lowers their overall cost of doing business and at the same time, provides incentive to take positions without this overhead being a major consideration. One of the greatest fears of the average option trader, is that an unexpected news event will be released while trading is halted overnight, resulting in a massive shift in price action at the opening bell. These are called "gaps" and the reason why can be readily seen on a stock price chart. If you're in a straddle, strangle or victory spread play, this is never a problem, but if your positions are directional or range trading, it could hurt you badly. Stock option day trading avoids this because as a rule of thumb, your positions are closed out at end of day. Some people choose stock option day trading simply for the excitement that goes with being in the 'action' on a daily basis. They enjoy sitting at their computer screen, watching price changes and anticipating intraday moves. Waiting for an options position to work out over a few days or a month or more is too boring. It may even "feel" more like they're "working" if they are "doing something" every day in their day trading business. Whatever the motivation, at the end of each day, the trader can assess their profit or loss from trading activities. Day trading, whichever stock or type of derivative you're using, can be either very profitable or financially disastrous. With stock options, the gains or losses are magnified. If you're a small home investor, some say you need to be a certain type of person to day trade - with nerves of steel, almost like a machine. Being able to accept losses without a second thought must be part of your psychololgy. You need strict discipline and the ability to adhere to your trading plan without wavering. Options are usually a better alternative to other derivatives such as CFDs or futures, for day trading, due to their limited loss potential - though in some countries their limited liquidity makes them less attractive. Some day traders are fortunate enough to locate a good advisory service that alerts them to stocks that are about to spike - and they use options to magnify their potential profits. Others choose to devise their own strategies and below are a summary of some of them. Trend following systems essentially relies on continuation of a trend on an intraday basis. Charts are broken down into short time frames (e.g. 15 minutes, one hour) and compared with longer term ones, like the "daily" chart over a 3 month period. If both are going in the same direction, it then simply becomes a matter of timing to enter the trade. Limit orders can be set where there are tight option bid/ask spreads, to take a call or put position when the underlying stock reaches a predetermined level. 'Take profit' targets may also be preset. Scalping is the practice of entering and exiting positions quickly while accepting a small profit margin on each trade. It is best suited to range trading stocks. On a daily chart these will appear as consolidation patterns, but on intraday charts, as a channel. The active trader chooses a safe range in which to buy and sell calls or puts and is happy to receive a smaller percentage return if necessary - possibly around 10-20 percent. This stock option day trading strategy involves being "on the spot" when breaking company news is released. If it's good news the underlying price action should become volatile and move north, in which case you'll buy call options. If bad news, the reverse happens and you enter put option trades. The trouble with this approach is, that you can't always be sure whether the current share price has already moved in anticipation of the news. So you need to wait for the volatile price action to begin once the news is released, then jump on for the ride. If you can master this approach, you can realize enormous profits from volatile prices. 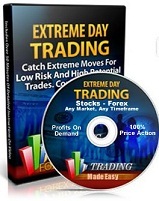 Day trading can be an exciting adrenalin filled daily experience for the active fulltime trader. It suits some traders' personal trading style and if you're one of them, you'll know what I mean. Finally, here is a video that I think you'll find quite interesting. It adopts a stock option day trading strategy based on what happens in the first 15 minutes are the opening bell. The theory is, that the initial volume sets the support and resistance levels for the day, so all you need to do is wait for entry signals above and below them. Various popular US stocks are used as examples and the results appear quite impressive.